ADAM ONDRA - a few shots from the movie from BERNARTWOOD on Vimeo. Not much time for writing as the semester starts. I am wondering exactly how this movie is going to turn out. "The True Story of the Best Climber in the World"? hmmm... I'll watch it, because I watch all of them. I don't really care about the posturing. I don't expect this to be in the King Lines realm, but it should be an enjoyable movie/climber profile. Maybe a blend of big up style editing and Hard Grit-like documenting? Maybe a bit off topic here but I've been thinking about this lately: you know what's missing from all climbing movies these days? Warren Miller. Adam Ondra really does not like falling off things and he makes terrifying noises when he does (and sometimes even when he doesn't). I wonder if he's really as pissed as he seems. He is one crazy strong dude though. This is the thing. Adam Ondra is a truly gifted climber yet he is so young that he has yet to make a deep impact on the sport or have much of a life outside climbing. I have really enjoyed the clips I have seen of him climbing from Bernart Wood and hope the movie focuses on the climbing above everything else. His tantrums are annoying to watch, that is for sure. "His tantrums are annoying to watch, that is for sure." Those "tantrums" are real passion for climbing, which boulderers, having none, fail to either recognize or appreciate. That's complete nonsense "anonymous". Arrogance and Ego only serve to make your argument all the more asinine. What exactly do you hope to accomplish with trolling posts like that? BTW I don't say Ondra shouldn't have tantrums, just that I'm not sure I want to watch them on video. I have highest respect for the way Ondra has approached climbing. 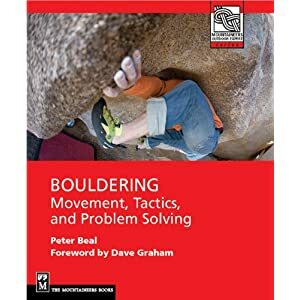 He has repeated many of the world's hardest standards, both climbs and boulders, short and long (Action Directe, Dreamtime, etc), he has done the FAs of long-standing projects, and he has clearly put it on the line and delivered in world cup competitions, winning the lead AND bouldering circuits. Not since Sharma has there been such a dominant climber. It's exciting to follow along and wonder what will come next. So, maybe a better title for the video would be, "Adam Ondra, Chapter One."